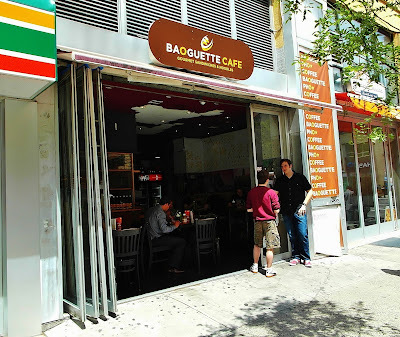 baoguette cafe is the best of the rest! How exactly does this work? How can a restaurant clear 80 violation points in a matter of days? Anyone care to explain how this works? Disturbing. I used to like this place for the vegetarian sandwich, but I don't plan to return with this news. great question. i actually don't eat out that much. overpriced fake vietnamese food. if you want authentic vietnamese food, go to either nha trang in chinatown, not this fraud, or the chinese masquerading as vietnamese on e. 3rd. i love overpriced inauthentic anything. that's what makes america great.